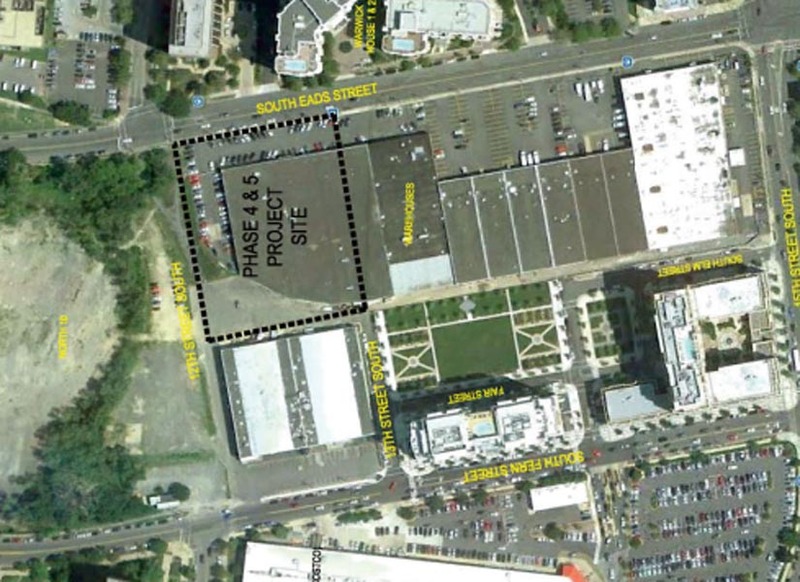 Developer Vornado is in negotiations to bring a new Whole Foods grocery store to Pentagon City. The store would located on the ground floor of Vornado’s planned Metropolitan Park apartment building at the corner of S. Eads Street and 12th Street. The building, currently in the Site Plan Review stage, will replace a dilapidated warehouse and is part of a larger effort to turn 12th Street into a mixed-use commercial corridor. Vornado’s Metropolitan Park building will the fourth in the overall Metropolitan Park development. The development will also result in an extension of 12th Street between Eads Street and Fern Street. Vornado’s planned, 2 million square foot PenPlace office and hotel development will be located across the future 12th Street, which is now a pedestrian path. 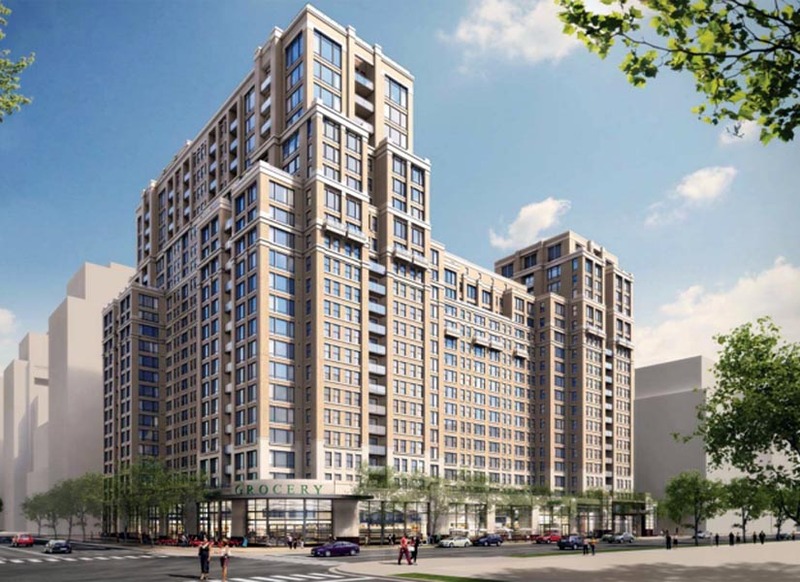 Met Park 4-5, as the Vornado apartment building is being called in planning documents, is expected be up to 22 stories tall, with two connected towers, and will contain just shy of 699 apartments. A 37,000 square foot grocery store space on the ground floor is being incorporated into the building with the express purpose of attracting Whole Foods, though no lease or letter of intent has been signed yet, we’re told. 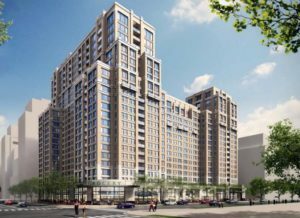 An official with the Crystal City Business Improvement District told us the organization is “thrilled” with the prospect of bringing Whole Foods to the area. Currently, Whole Foods’ only location is the perpetually-crowded Clarendon store at 2700 Wilson Boulevard. Developers hope the building plan will go before the County Board at some point mid-2013. No word yet on how long construction would take.